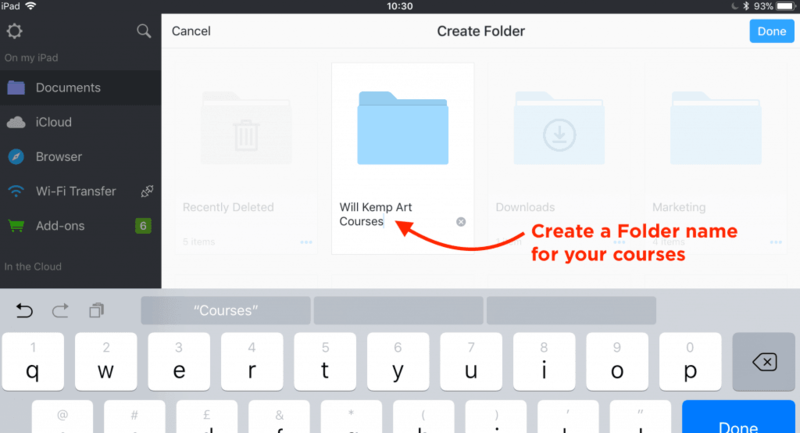 How do I download to an iPad using the free ‘Documents’ App? I use a free app called ‘Documents’ which enables you to download MP4s, .zip files and PDFs to your iPad. Step 1. Open the Documents app. Step 2. 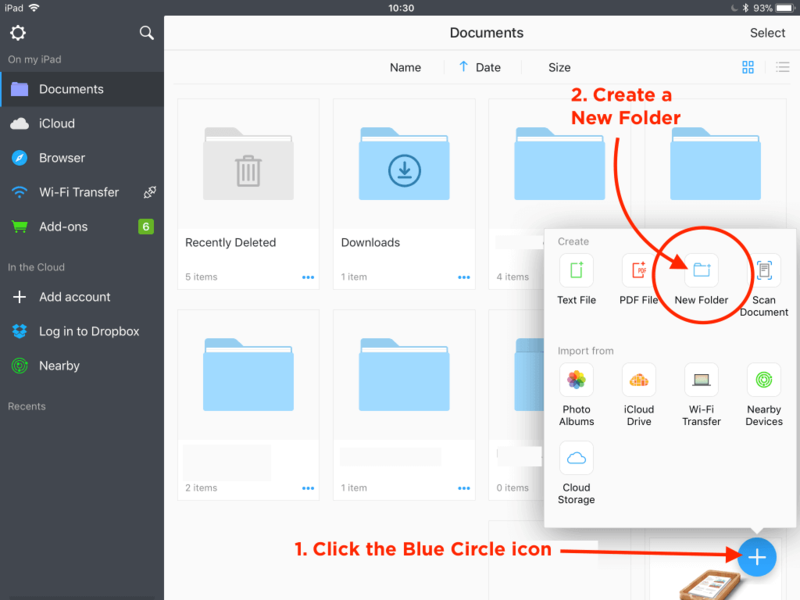 Tap the blue circle icon at the bottom right, then tap the ‘New Folder’ icon to create a new folder. Step 4. 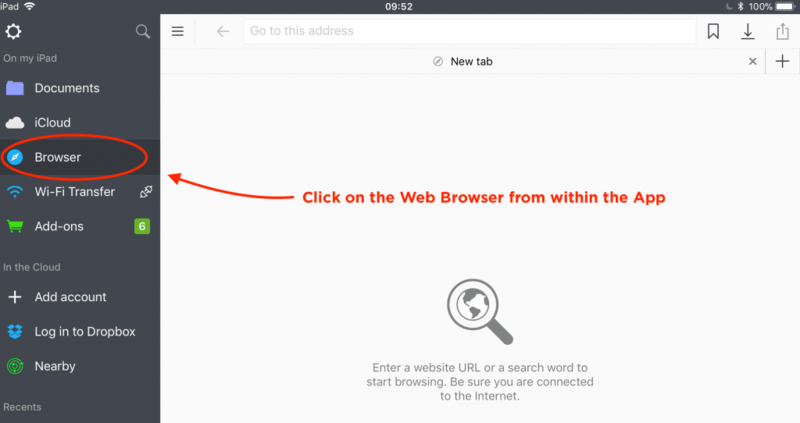 Click on the web browser from within the app. Step 5. 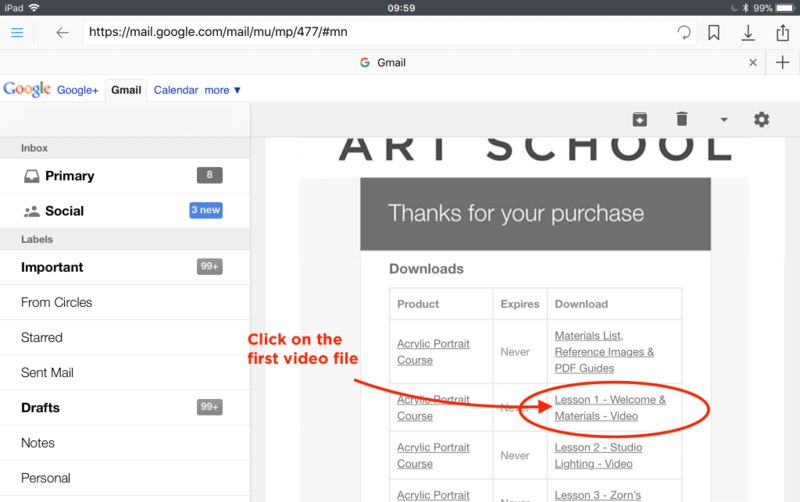 Using the Browser, log into your email account (I’ve shown an example for yahoo mail below), and open up your Order Receipt email which contains your course links. Step 6. Click the first video listed. Step 7. A new tab will show up, click the tab and the video fills the screen and may start playing automatically. Now is the time to save the file. Step 8. 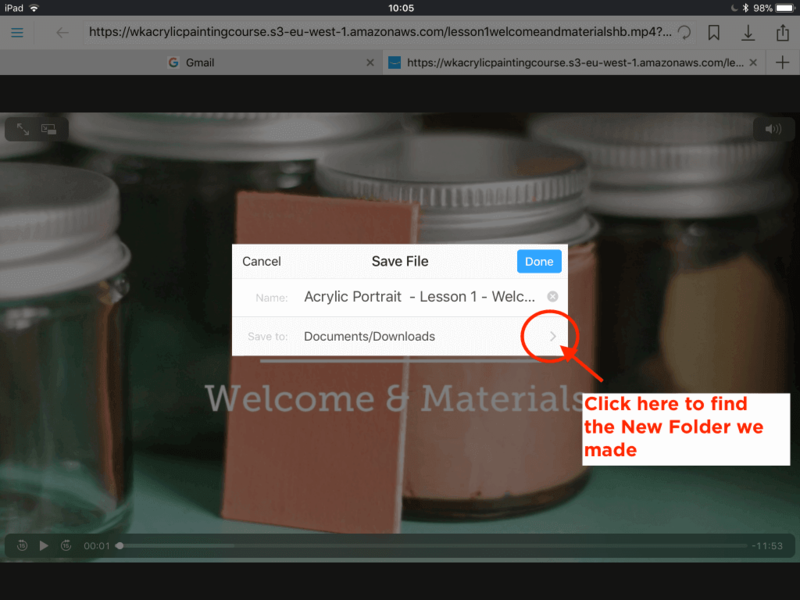 When you click ‘Save Page’ a ‘Save File’ pop up box will show up displaying the name of the video file and it will give you an option of where you want to save it. Step 9. 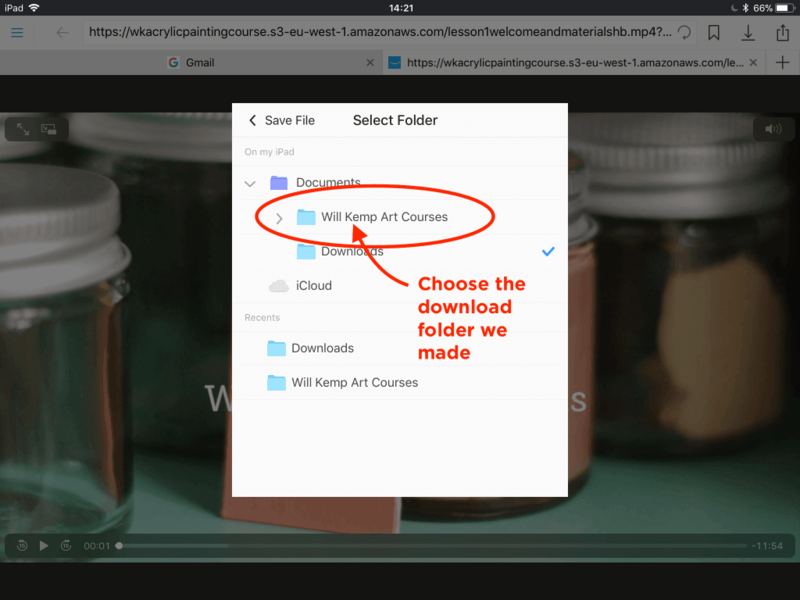 Click the grey arrow on the right to find the ‘Will Kemp Art Courses’ folder. Select the folder then click ‘Done’. Step 10: Your screen at this point may turn white or just remain as the video – both are fine. The file is downloading in the background, now click the home button at the top left. Step 11: Then click the ‘Documents’ tab. Step 12. 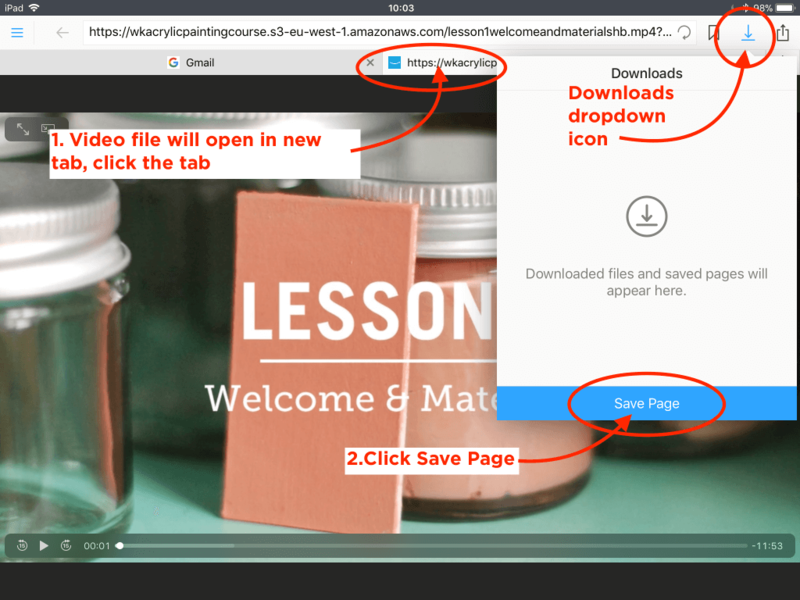 You’ll see the video downloading, the file isn’t fully downloaded until you see an image from the video. Step 13. Fully downloaded, Click the image of the video to play the file. Whoo hoo, you’re done! You can now watch that video as many times as you like. Just repeat the process to download the other files.